But, once you visit the toolkit, you may be asking yourself some key questions: How does that partnership really begin? Who will I be talking to? How will I know what to expect? Here are three steps and pieces of information to ease stress and put the focus on the real task at hand: getting great federal information out to the public. 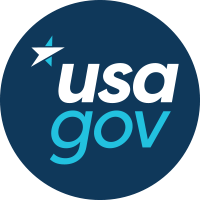 Clear and Timely Communication in Action: Once you submit our Get Started Form or send an email to usapartnerships@gsa.gov, we receive an email detailing what you’re looking for in a partnership and how to contact you. Then, a member of the outreach team will contact you to schedule a call to get more context. We’ll tailor the members of our team we assign to the partnership (and ask you to do the same!) based on the nature of the request — whether it’s a simple social media messaging request or a cross-agency, Q&A panel-driven Facebook Live event. Our promise is to get back to you promptly, whether it’s to ask for more information, clarification, or set a meeting. Expertise Through Examples: Our long-standing role as the aggregator of government information means we have many examples that can help you define your scope, choose elements to include in your campaign, and develop a doable plan and execution strategy. In 2018 alone, we have hosted six Facebook Lives in English and Spanish and co-created dozens of email and social media campaigns on topics including health, passport, consumer protection! Creativity and Flexibility: ‘Meeting people where they are’ is one of our guiding principles. Some partners come in with many ideas or want to include specific features in a campaign, while others just have a simple nugget of an idea. We are open to starting with the smallest or most broad idea to create a final product or campaign that works for our combined audience and internal team. We work around important observances, like Hispanic Heritage Month or National Consumer Protection Week, and both our own and the partner’s demanding schedules to ensure we’re effectively delivering information to the right audiences. This includes making sure our team has the right bandwidth to work with you while also providing expertise and best practices that enhances campaigns. This is just a taste of what goes into our partnerships. To learn more about who we are, who we work with, and what type of work — big or small — can be built and shared through our many channels, explore our partnership toolkit. Stay tuned for more tips, tricks, and updates on how to build a meaningful partnership with us!